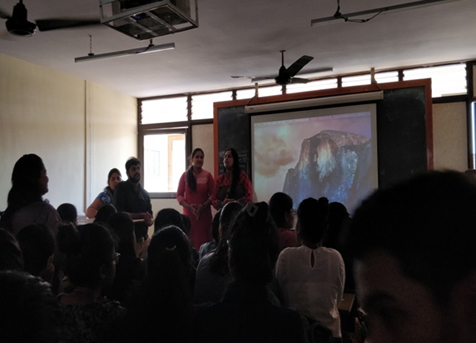 • On January 8, 2018, Ms. Seetha Nair was invited to speak to the Department’s Students about ‘3D, Animation & VFX’. 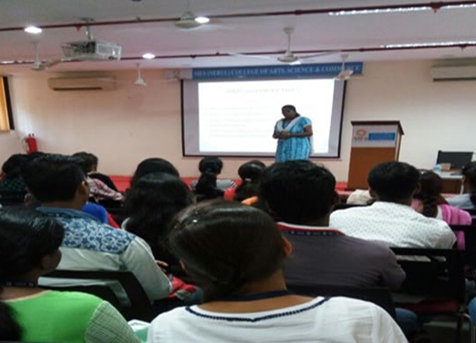 Ms. Nair has extensive experience in this field and was an apt person to address the 122 participants on the subject. Ms. Nair explained thedigital aspect of the industry and how it is important for entertainment. Using visuals, Ms. Nair then discussed the various techniques and tools used in making 3D Animation & VFX, and also the latest software that can be used in editing. 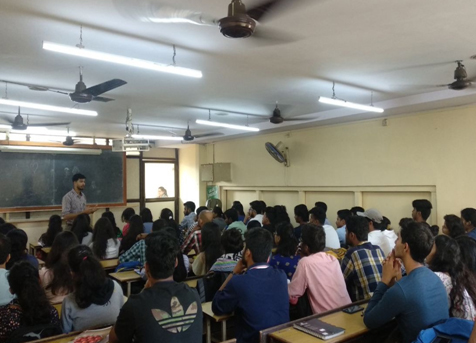 • On January 15, 2018, Mr. Aayush Anand,Founder and CEO for ‘AAA Design’, was invited to speak to the Department’s Students about ‘Importance of Portfolio, Digital Marketing, and Advertisement and its Making’. The lecture was attended by 86 Students. Drawing on his industry experience of more than 10 years, Mr. Anand gave Students demos on the colour correction, typography, body text and illustration to be kept in mind while preparing a layout for a print advertisement. He also showed samples of his own work to clarify concepts to the Students. 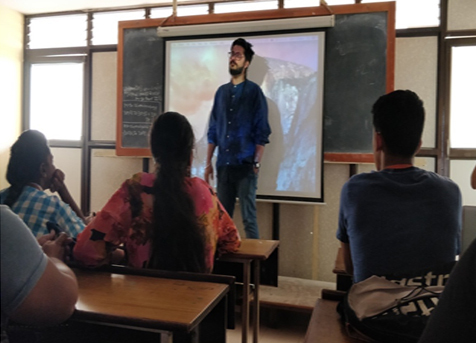 • On February 14, 2018, Mr. Aalish Shah, Business Development Manager at ‘Revio — the world’s first video review app’, was invited to speak to 72 FY and SY Students about ‘Internship Opportunities in the Field of Media’. Mr. Shah explained how to choose internships on the basis of their area of knowledge, the key things to consider while preparing résumés, and the job opportunities available in advertising and journalism. All the lectures were followed by interactive sessions, in which the queries of the Students were resolved by the speakers. The Students benefited greatly from the lectures.